Though the EU has been clamoring to reduce carbon emissions, Germany is in the process of building 26 new coal-burning power plants. 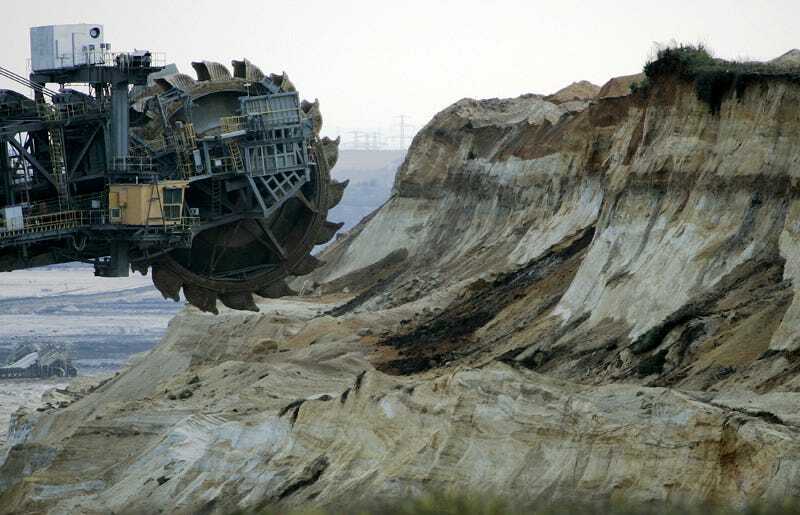 Here you can see a gigantic excavator machine mining brown coal near the Boxberg power plant yesterday. Consider this a "before" picture. Want to see what happens after the excavation? Yeah, it's something like this. Here you can see the Boxberg Power Plant, torching massive amounts of coal, chewing up the landscape, and shooting smoke into the atmosphere. Apparently these kinds of plants have been spun as a positive alternative to nuke power. I'd rather get electricity from nukes any day than power my computer with coal.